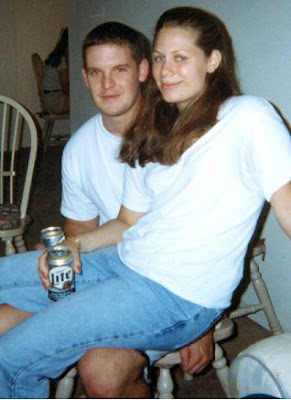 My college graduation barbecue (circa 2000). That morning Hubs received a phone call from his landlord saying the lease was up (oops) and he needed to be moved out by noon. Needless to say, it was a frantic morning and I was over an hour late (& unshowered, ewwww) for my own party. Well you had your priorities straight if it's a party in your honor, people will forgive you! Your allowed to be late for your own party! Dropping in via SITS... cute photo! dropping by via sits! Its your party and you had a right to be late if you want to lol!